Occasion Formal, Casual, Party, etc. This Linen Suiting Fabric is used for tailoring various types of suitings and shirtings. Established in Mumbai, Baleshwar Synthetics Textiles Private Limited is a renowned name in the domain of Manufacturing, Exporting and Importing premium-quality Linen Fabrics, Dyed Fabrics, Striped Fabrics, Check Fabrics, and Cotton Fabrics. Our company was found in the year of 1981 and since then we have left a striking mark in the competitive market. Primarily being manufacturers, our prime concern has always been the quality of our products. We always try to ensure that we leave no gap in our manufacturing unit when it comes to serving our trusted clients with the finest quality fabrics. 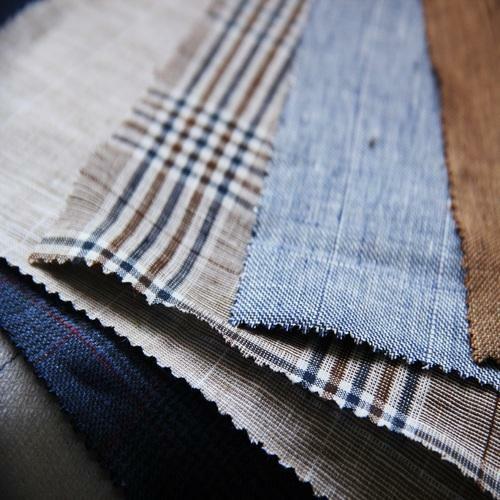 Our wide range of fabrics is widely used in various industries like clothing, home decor, suiting, shirting, and so on.